With the release of iPhone 8 just around the corner, the recent market trends do suggest that a drop in the profits of the corporation is expected until Apple repeats history. The corporation is known for its elite iPhones that have captured the smart phone market in the elite class. Recently it was discovered that the iPhone’s market is not earning enough for the company. 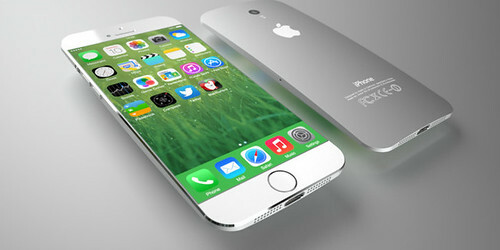 A report at Business Insider has provided a complete overview of the current market status of the iPhone. Through an analysis, they have proposed that currently, 85% of the population are using smart phones under the range of $500, while 50% of the cell phones that are selling are in the range of $200 and below. The global market for high-end cell phones has stopped expanding. On the other hand, Apple plans to introduce iPhone 8 in a market price ranging above $1000. This price is too high as opposed to the market trend as per now. Apple corporations need to take huge steps this year if they want this cell phone to make profits. For one they need to grow their sales if they will increase their share value which is not doing very well if compared to other competitors. Last year at least their smart phone market expanded after the unfortunate wipe off of Samsung’s Note 7. Arguably it was the entire reason this corporation was able to acquire 15% of the market, with the iPhone 7 considerably bringing most of this success. This year the situation has changed. In order to acquire more profits, they need to increase their sales which can only be done by buying more market shares with a midrange priced flagship product. The iPhone 8 might not fill in this gap as it’s seemingly past the affordable market range. Apple once gave a good price for a flagship product in the past and increased its sales. In 2015, Apple actually increased the sales of the firm and achieved profitable sales as an outcome. This outcome is required as an instant measure to produce a profitable difference for this phone. The step may be a crucial one but it needs to be done.